Cauliflower is considered pretty unremarkable by a lot of people; not so colorful, known for its “notorious” odor when cooked and it is bypassed by many. Not in our home. We love our cauliflowers; be it be any time of the year, this vegetable holds a favorite corner in our kitchen. 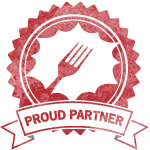 What I love about it is the numerous ways it can be cooked and served. The florets absorb flavors and colors really well, so it works wonders in all kinds of cuisines. This time it is a very very simple recipe, not needing a whole lot of ingredients. I have used pecans and cranberries since I am seeing plenty of both, but this will work well with any kind of nuts and dried fruits. Break the cauliflower head into medium sized florets. Wash and drain. 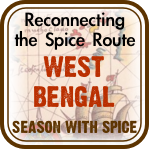 In a skillet or a flat bottomed pan, add the 1.5 tablespoon oil, some of the red crushed pepper, cumin seeds and the coriander powder and switch on the heat. When the seeds start to just sizzle immediately add the cauliflower pieces. 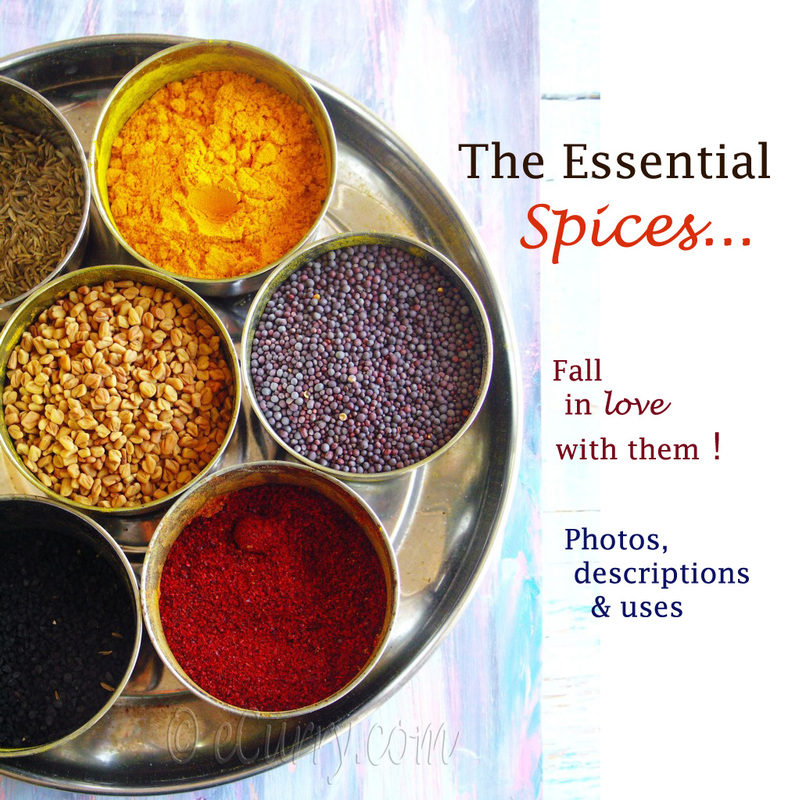 (Take care here, not to wait too long with the spices in the hot oil, they quickly burn!). Increase the heat, toss the cauliflower so the oil and the spices coat the pieces. Fry while tossing frequently till the florets get small brown spots. Add 1/4 cup of water and salt in the pan, reduce the heat to low and cover it with a tight lid. Let it cook for 6-8 minutes or till the cauliflower is tender but not mushy and falling to pieces. Switch off the heat; take the pan off the heat and add the scallions, toasted nuts and the cranberries and toss till well combined. Pour the dressing and more crushed red pepper and toss well. We loved this dish. It works best when you let the cauliflowers rest for a while with the dressing and the scallions in it. It tasted great warm and was also very good the next day when we had some left overs. It was almost like a finger food (a healthy one) for my kids – they picked up the cauliflowers, nuts and cranberries and finished bowlful of it in no time. Serve it as a salad or a side dish. Folks, here I am apologizing again for not visiting your blogs in time and leaving comments. I am not promising that I can do so. At this moment I have something more important to attend to; my family, my kids, their activities, holidays, our upcoming vacations.My blogging has been sidetracked. I have been reading all of your posts when I am finding time, but not always leaving a comment. It is only for a few hours a week that I have set aside for preparing my posts and blog hopping and I know it is not enough time. But right now it just has to be this way. I have been getting emails from my readers and friends asking me why I haven’t been visiting them, I am really sorry, but I hope you will understand. November 14th, 2009 | Category: Salad, Salads & Soups, Sides & etc. This looks fabulous! I’m already planning in making it tomorrow – but with dates instead of cranberries! This makes me wish my daughter enjoyed cauliflower more… looks delicious! amazing dish!! I just love cauliflower in any form….this on is so yummy and healthy. Lovely. I love the sour with the spicy and the sweet going on in here! I have not thought to do cauliflower this way, Soma I have to try it this way! I like cauliflower too…. looks delicious…. never tried nuts with cauliflower…. and as always, beautiful pictures. A refined dish! That combo sounds delightful! This looks so good. We love our cauliflower too. Now that I think of it, nuts with the cauliflower soft and the crunchy is a good combination. I really love cauliflower and cranberries! What a delicious combination! I love cauliflower and because I do I also don’t mind the fact that it does smell a bit once you’re cooking it… I still have some fresh cranberries in the fridge and am trying to decide what to do with them as I have never prepared fresh cranberries before… Would they work fresh in this dish as well? I would love to try it..
Hello! Fantastic web site, I really like your writing style. Very distinctive and concise. On a lot of blogs people just drone on and on, but not you – very nice. I found your site while looking for another one on Bing. I don’t have time to read all the recipes right now, but I have bookmarked your site and will return very soon to see what’s new. I love reading about cooking, it is my favorite past-time. The recipes on your site are incredible. I can’t wait to try them out on my family. They think I’m nuts (and maybe they are right lol) when they see me at work in the kitchen. Please visit my recipe web site at http://www.KAChef.com. Thank you again for a very informative site. Keep up the great work! Lovely! I made roasted cauliflower with cumin, coriander and pepper – but have never thought of dressing it up further. Great idea! Great flavours. 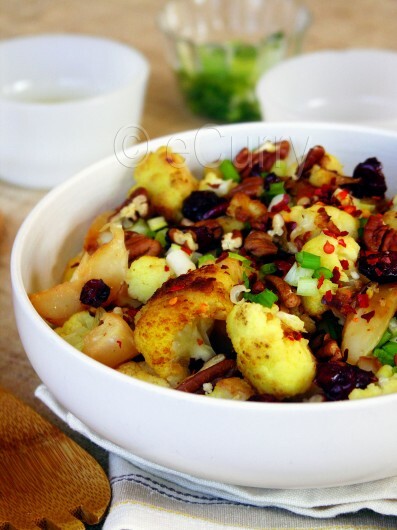 Wow Soma cauliflower with cranberries and nuts sounds an awesome combination! I love cauli because I can really whip up under few min 🙂 This one is incredible with nuts and cran! 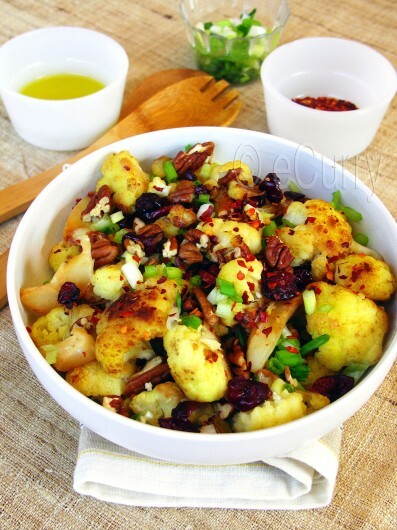 Nice dish Soma…never thought of adding nuts and fruits to cauliflower…will definitely try this one…thanks for the recipe dear…as always beautiful pics…. What a delightful combination of vegetables, dried fruits and nuts. Must have tasted fantastic with layers of texture and crunch…definitely a must try ! That looks beautiful and delicious! You should write a cookbook! Lovely, Soma!I am not very good at cooking cauliflower and this one of those delicious versions I have come across.Nuts in cauliflower sounds great! 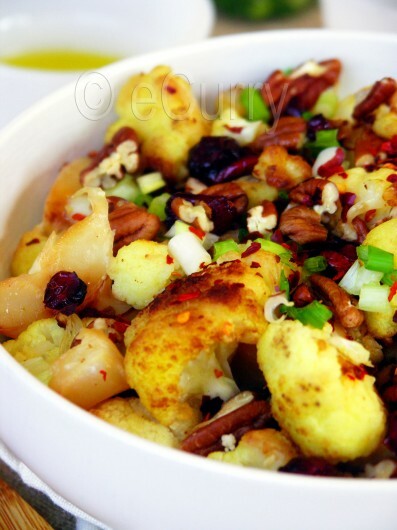 Cauliflower sounds yummy with nuts and cranberries! Beautiful pictures Soma. Looks so soothing and pretty. We love cauliflower at home too. At least one vegetable that we are never tired of. 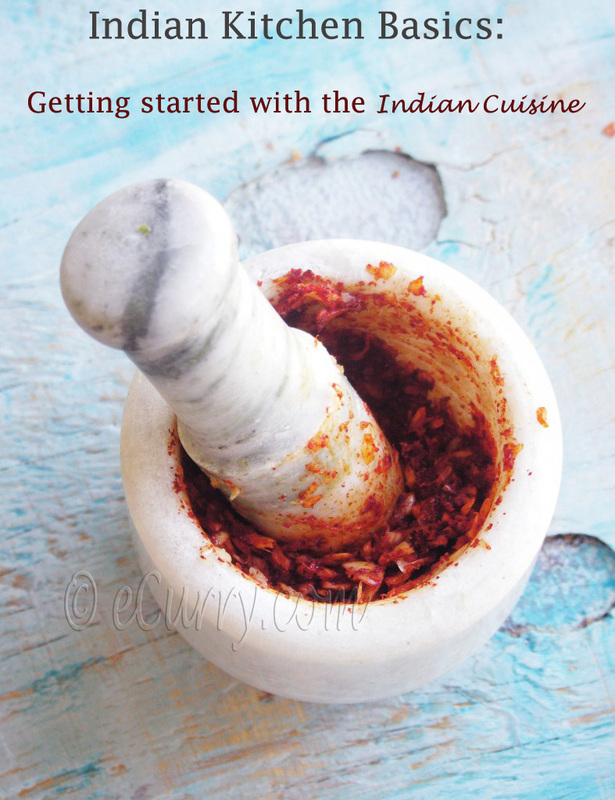 I usually cook it the indian way without the fruits and nuts. But loved the idea of adding it. I love nuts. I’m so going to try this. I have a cauliflower right now and tons of cranberries too! 🙂 Beautiful, Soma. I will admit that I am not a huge cauliflower fan, however, I am in a phase where the combination of cranberry and nuts is something that I can’t get enough of. I’m going to have to try this. Thanks Soma! What a great recipe soma …. Yum. I love the cauliflower-nut combination..just beautiful! Soma, your vegetarian side dishes are always so wonderful. This is a fabulous combination of flavors. 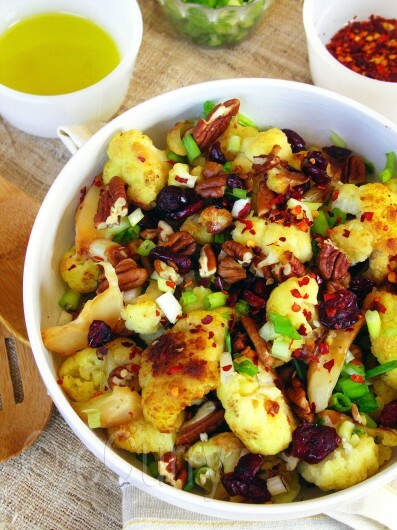 I love cauliflower–and with the dried cranberries and nuts and all those fragrant spices it must have been delicious. 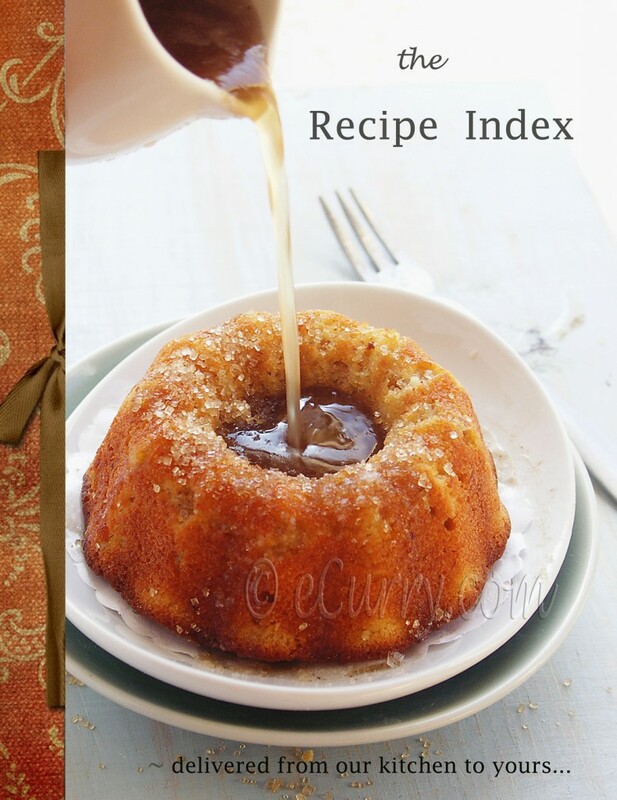 I have many of your recipes bookmarked, just waiting for me to try them and this one is getting added to the list. dish looks gorgeous! who wouldnt pounce on it?? This recipe is great. Thank you.